On the face of it, Endless is a record of big room techno littered with trademark bass and kicks, but what 1800HaightStreet have really done with their latest release on Lobster Theremin is create the soundtrack of the dystopian; a gargantuan, well engineered machine of the wicked that chugs along so powerfully all in its wake are changed forever. World shaking techno is a more apt name. The other thought this album fashioned in my mind was that this must be the archetypal sound of the carnival of Hades - if there was such a thing. Maybe a bit too sadistic or powerful a metaphor, however these are the feelings induced by this heavy hitting record. A more fitting way to describe the album could be as the soundtrack to Blade. It has brutality, class and slickness with an added audience response of “Phwoar! !” shown in the first track. The Ram kicks with a breakbeat infused weapon that clangs so hard sound systems should be warned. In fact, numerous songs on the album - the title track Endless, Diagonal Crisis and Flood - will send shivers through the wires of speakers worldwide. Menace is mixed with funky, tribal vibes on Permafrost, Past Life Memory and Razor to create more big room moments that have a jittery dark feel. Yet, for all this talk of the album's dark qualities, I should highlight the lighter aspects of it too - counteractions to the punishing (in all the right ways) bass. The dystopian elements are played against the light, euphoric synths that add melodies to excite. Whilst chugging with intensity, delicate touches are added to each track, allowing emotion to emanate through the soundwaves as seen in Manitoban, Physic and Vanisher. It's at times as metallic as it is soft, as cold as it is warm, gripping the engagement and intrigue of the listener. For me, the standout track is Super Intelligent, a glittering groover that tickles the ear drum with a shuffle inducing melody over the softest kicks seen on the album. 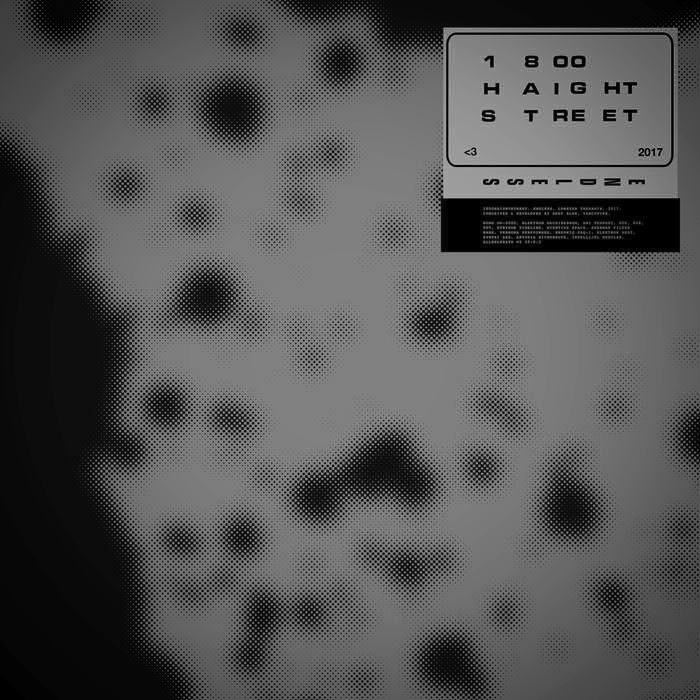 Throughout the entire piece, 1800HaightStreet use countless inspired loops to display the depths that techno can delve into. Building to moments of reflection before dropping you back into the hectic flurry of bass kicks, this is modern techno at its finest.